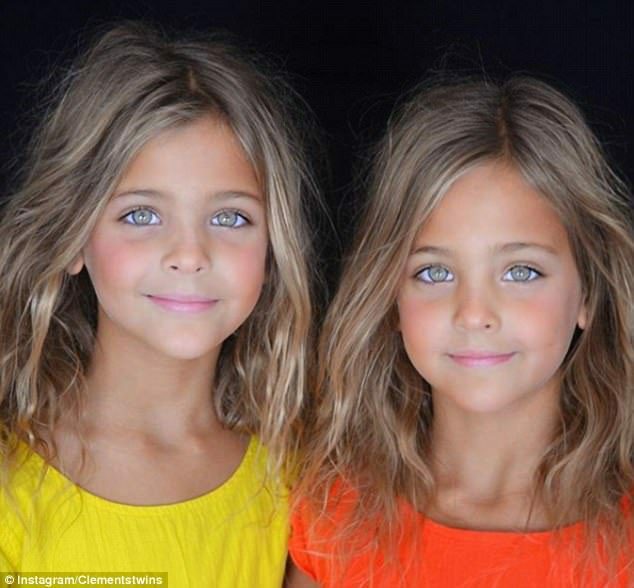 Are These The Most Beautiful Sisters In The World? A mother of seven-year-old identical twins is turning them into stars just months after opening an Instagram account for them. 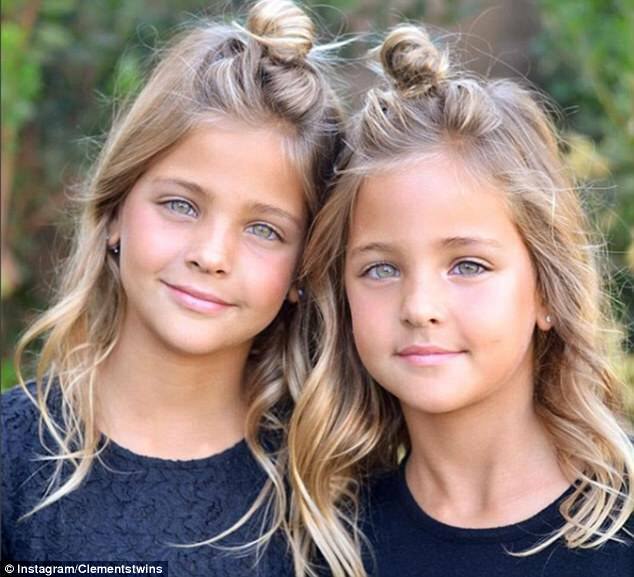 Leah Rose and Ava Marie, who are based in LA and Orange County, have amassed 139,000 followers since their mother Jaqi Clements started posting images of them on Instagram in July. 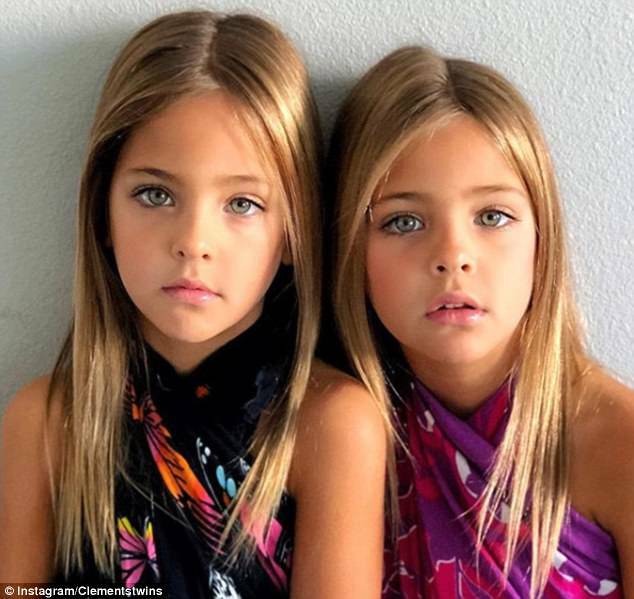 Known as The Clements Twins, they’re signed to two modeling agencies and are winning contracts with children’s clothing brands and magazines after their mother asked them if they wanted to try modeling. The girls have been described as ‘absolutely stunning’, ‘so beautiful’ and ‘really truly gorgeous girls’ by followers with some even branding them ‘the most beautiful girls in the world’. However, some have questioned whether they are wearing make-up in various pictures. 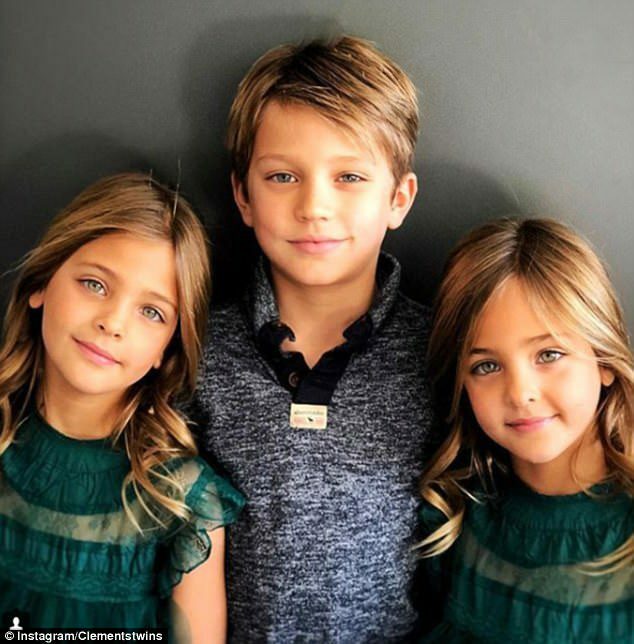 The sisters aren’t the only models in the family either, as their mother has also opened an Instagram account for their brother Chase Robert. He’s also signed to the same modeling agencies as his sisters, although his following is much more modest at just over 2,000. 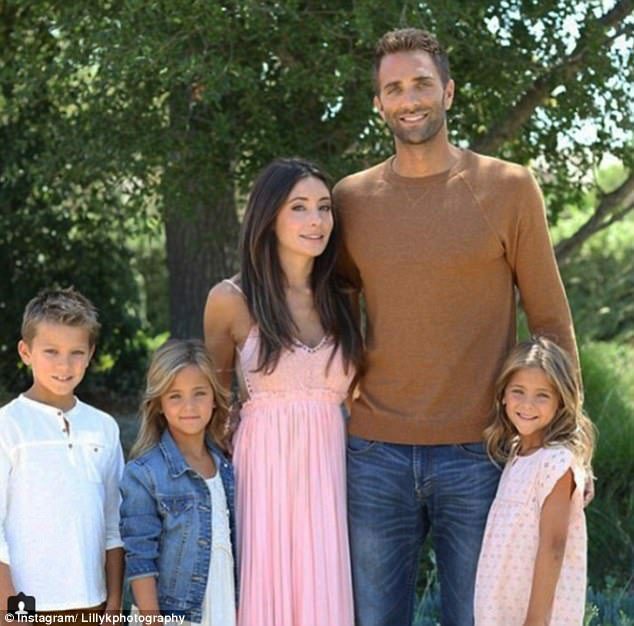 Their mother first signed the girls up as models when they were six months old, but trying to juggle the twins with her two-year-old son meant it wasn’t the right time. However, when the girls turned seven on 7/7/17, she took it as a sign. 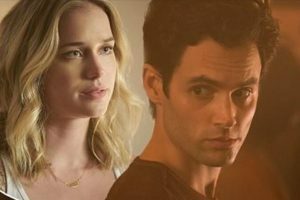 ‘This year was different. The girls were different,’ she wrote in a blog post. ‘Aside from the fact that I’m a huge believer in signs and have been told by almost everyone that 7 is a lucky number, I just had a feeling that this year was going to be a fun and exciting year for them. 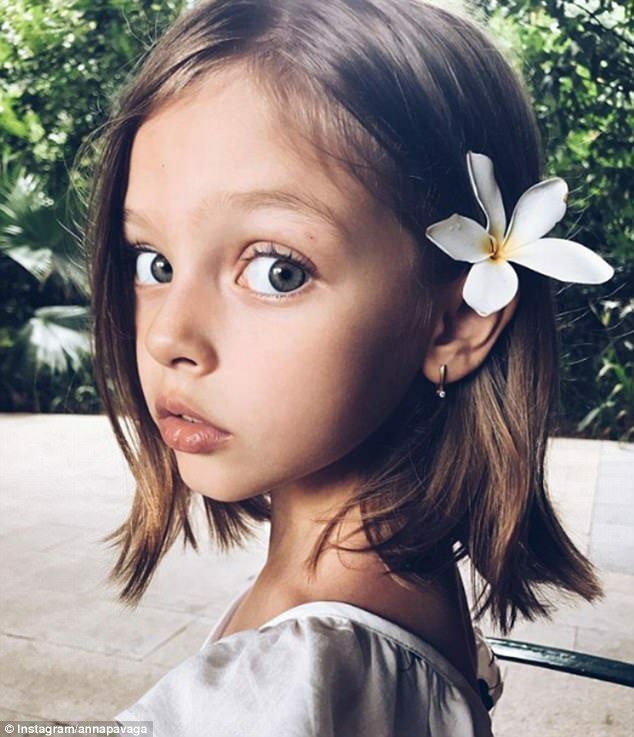 The girls have joined the ranks of young models being hailed as the world’s more beautiful children, including Anna Pavaga, from Russia, who has amassed 464,000 Instagram followers and appeared in Vogue, at the tender age of eight. Anna has been modeling since the age of three and has appeared in fashion campaigns for dozens of campaigns all over the world, including in China, as well as the glossy pages of Vogue Enfants, a supplement of French Vogue. 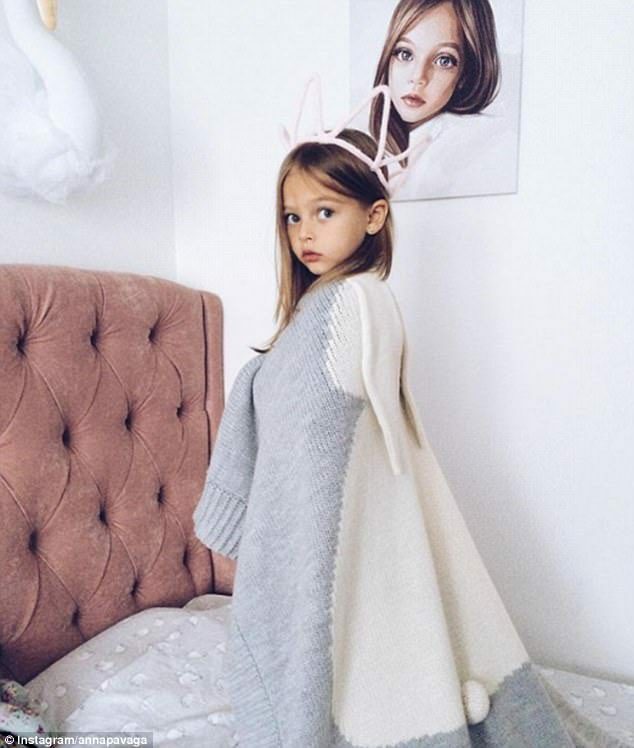 According to Frivolette the eight-year-old famed for her doll-like features and grey-green eyes is the youngest client on the books at TANN Models, and her mother told the website that she loved posing for the camera from the age of two. 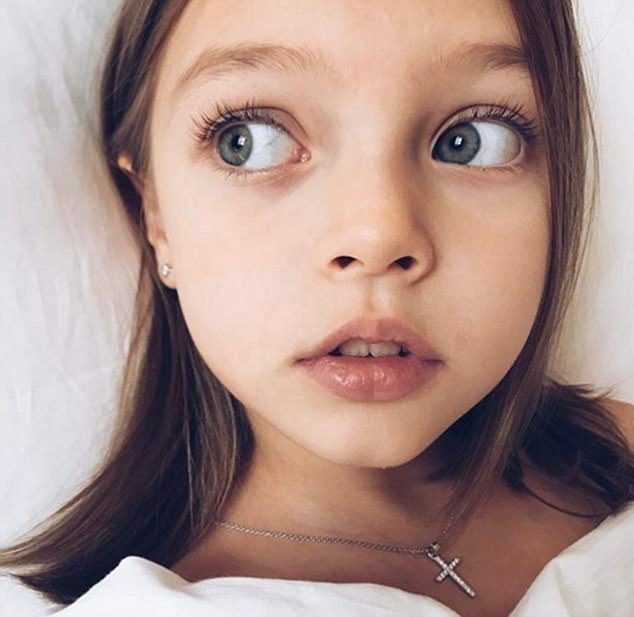 St Petersburg-born Anna is the latest child model sensation to emerge from Russia since six-year-old Anastasia Knyazeva hit the headlines earlier this year, after also being hailed ‘the most beautiful girl in the world’. In addition to modeling, the youngster has starred in TV ad campaigns and has even racked up some small film roles. 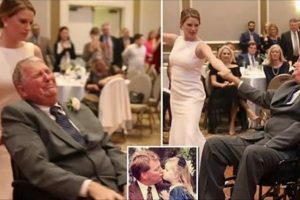 But her mother said that she encourages Anna to focus on her love of ballet and gymnastics over her burgeoning modeling career, in order to put her child’s health first. They also like to go to the cinema or shopping together. Ekaterina insists that her daughter doesn’t realize she’s famous, but it gives her the opportunity to travel and have experiences she’d never have otherwise enjoyed. ‘Beauty is a lottery organized by nature. 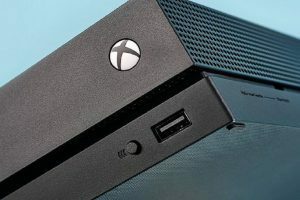 Parents do not choose, but can only dream. 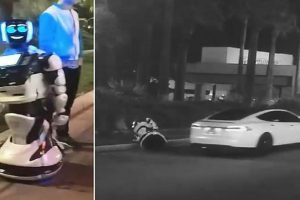 We were lucky: dreams became reality. Anna’s Instagram followers have heaped praised on her with comments such as ‘magnificent’, ‘so cute like a doll’ and ‘stunningly beautiful’. 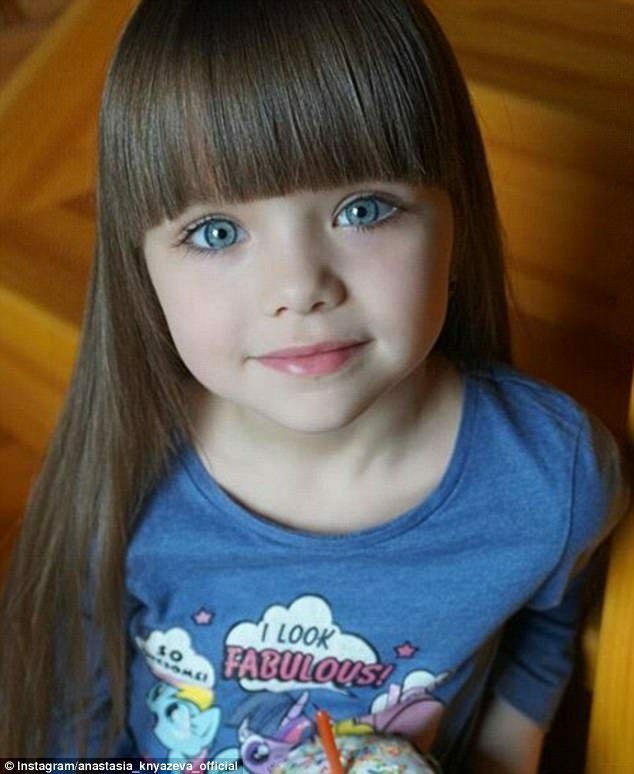 Fellow Russian child model Anastasia Knyazeva has already amassed a legion of online fans who have been wowed by her doll-like features and striking blue eyes. The youngster has starred in a number of campaigns, including for Russian brand Chobi Kids. 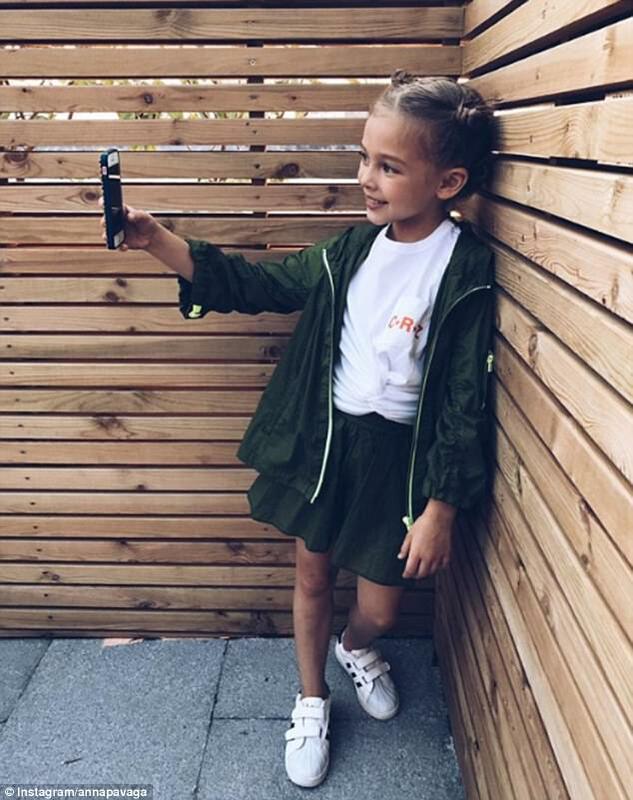 Anastasia, who is represented by President Kids Management, has amassed over 500,000 followers on her Instagram account, which is run by her mother Anna. 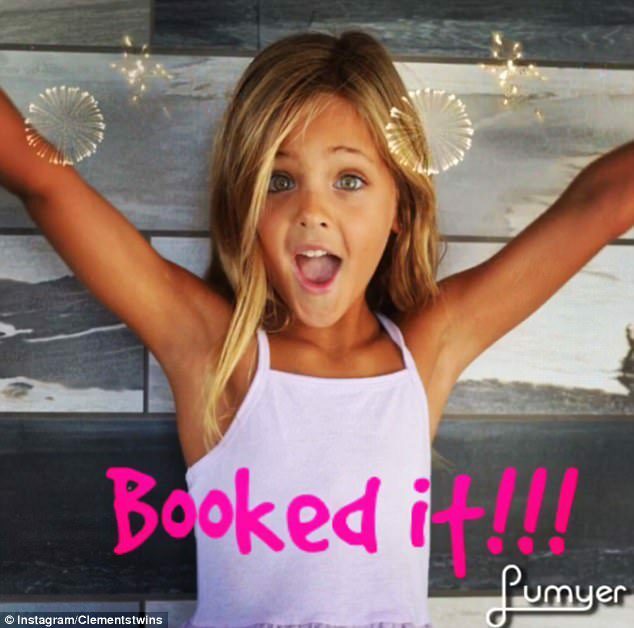 Anna regularly posts photographs of the six-year-old’s photoshoots, as well as snaps of her backstage. Each photograph receives hundreds of comments about the youngster’s striking features, from fans in far-flung locations including Indonesia and Brazil. 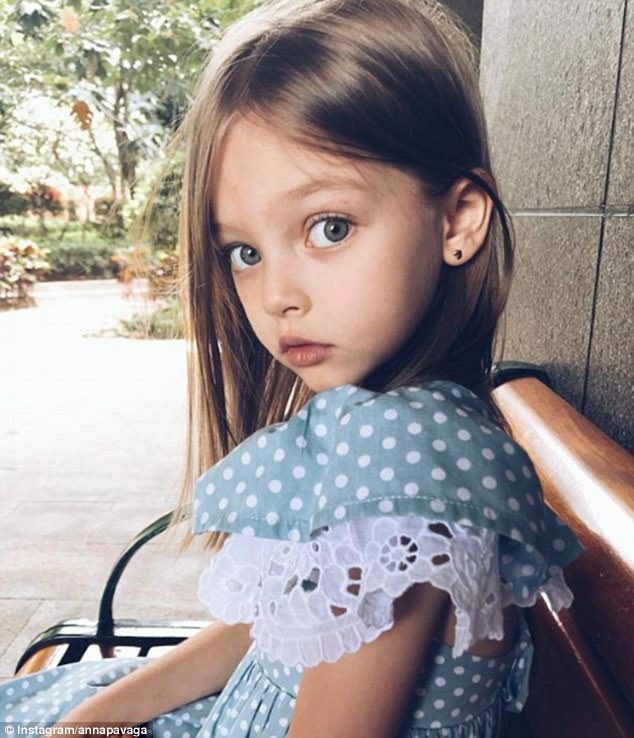 Anastasia’s mother has been sharing photos of her little girl since July 2015, when the burgeoning model was four years old. Sixteen-year-old Thylane Blondeau, from France, was named the world’s most beautiful girl at the age of six – and became the youngest model to star in French Vogue.